Third of the four factors is Steadiness, abbreviated to 'S'. As its name suggests, those who show a high level of Steadiness take a measured, steady approach to life. They are patient and undemanding, often showing sympathy for and loyalty to those around them. 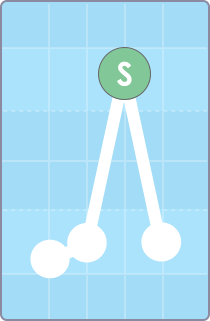 In Style Card terms, Steadiness corresponds to the 'Planner' type. 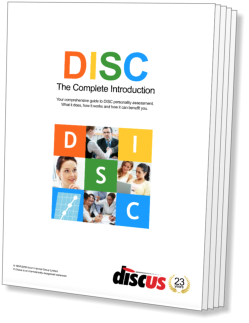 Being the third of the DISC factors, Steadiness is shown third from the left on a DISC graph. At least in western countries, Steadiness is relatively rare in comparison with the other three factors. While Dominance, Influence and Compliance are evenly spread throughout the population, Steadiness tends to appear less frequently. This is perhaps because the unassuming, amiable behaviour associated with this factor tends to be less valued by society than those connected with the other three DISC factors. When Steadiness does appear in a profile, it is more common to find it accompanied by high Compliance than standing alone. Despite this, there are a number of strengths linked to the Steadiness factor. People of this kind are patient and sympathetic listeners, with a real interest in the problems and feelings of others, and are particularly capable of fulfilling support roles. They also have a persistent approach, with powers of concentration that allow them to work steadily at a task. While other profile types might become bored or distracted, the High-S (i.e. person with high Steadiness) will continue to work until they complete an assignment. High-S's are resistant to change, and will prefer to settle into a predictable and constant environment. They have an intrinsically unassertive approach, and work best when given clear instructions and a high level of support. Because of this, they avoid conflict or confrontation if at all possible, and will instead seek to adopt the role of peacemaker if a dispute should break out.